What are Holistic Health Fish Oil Omega-3 Softgels? 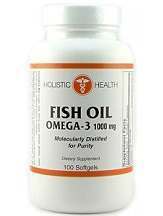 Holistic Health’s Omega-3 Fish Oil Dietary Supplement Softgels are a generic fish oil supplement. The product provides the Omega-3 fatty acids present in fish oil that have received significant attention in recent years across health-related news and media. The Holistic Health website lists their softgels as containing 1000mg of fish oil concentrate, which provides 180mg of Eicosapentaenoic acid (EPA), and 120mg of Docosahexaenoic acid (DHA). They list the components of the softgel as gelatin, glycerin and water, and also say that the product contains Vitamin E, and does not contain any sugar, salt, dairy, yeast, wheat, gluten, corn, preservatives, artificial colors or flavors. The Holistic Health International website instructs users to take one softgel with a meal two times daily, despite the serving size being listed as one softgel. We were unable to determine from the information provided on the website if a single capsule does in fact contain 1000mg of fish oil, or if it is necessary to take two tablets to gain this amount. The product is listed on Holistic Health’s website as $7.88 for 100 capsules, about 8 cents per capsule. We were not able to find the product available for purchase anywhere else online, nor is it available in any other sizes on Holistic Health’s website. The product website does nothing to alleviate the primary concerns of using fish oil, which are not health-related but rather cosmetic. We can only extrapolate, given so little information on the website, but with only fish oil, gelatin, glycerin, and water, there is nothing to convince us that this product will save users the hated “fish” burps, and it does not contain any other flavors that would temper the fishy taste of the softgel. Without any posted reviews, it is impossible to know if users have experienced any other side effects. 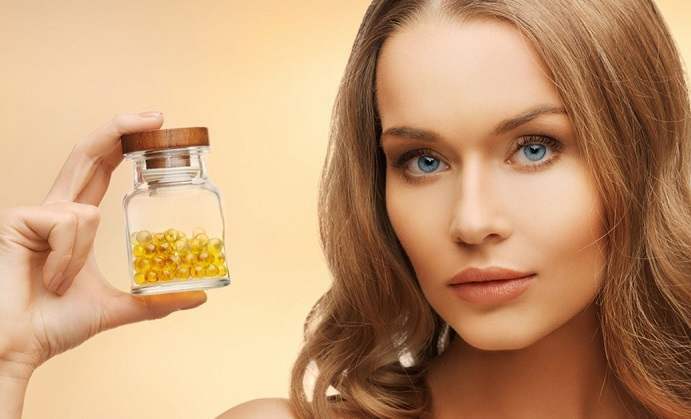 Holistic Health’s Omega-3 Fish Oil Softgels appear to be available for purchase only from the manufacturer’s website, and do not come with any manufacturer’s commitment or guarantee. While over-the-counter supplements generally do not come with a guarantee, and fish oil supplements generally take time to provide positive effects, the limited information and lack of reviews on the website do not inspire confidence that this fish oil supplement would provide comparable effects to other supplements. After reviewing the product, we find that based on the information from their website, Holistic Health’s Omega-3 Fish Oil Softgels do deliver 300mg of Omega-3 fatty acids EPA and DHA. While this falls inside the generally recommended range of 250-500mg per day, many fish oil supplements offer 1000mg. At a unit price of 8 cents per softgel, the product is up there among the cheapest fish oil supplements on the market. This is especially true if one assumes that Holistic Health places their 1000mg of fish oil into a single tablet (given that the serving size is one tablet), while comparably priced products (~$0.05 per unit) require two tablets for a similar dosage. The fact that there are no user reviews on Holistic Health’s website gives us serious pause, but given the information they list, there are no significant reasons to suspect this product would not hold up against any other of the cheapest fish oil supplements.